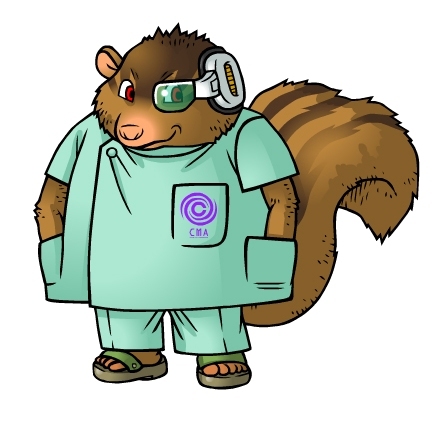 In Age 995, Capsule Corporation felt the need to popularise hybrid capsule technology. The "HoiPoi Capsule Mix Association" was established! 200 of the best Capsule Corporations scientists banded together to share their skills and technology with the world. 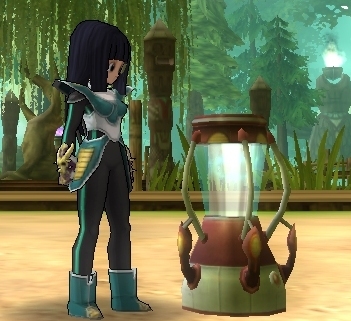 They helped to create the "CMA HoiPoi Capsule Crafting" machines for all to use. CMA employees are always on the lookout to teach new players the basics of crafting! The main type of crafting machine you will be using are the ones owned by the Crafting Masters, typically located right next to or behind them. Since the machines are large you will only find them in major cities where there is sufficient space for them. The second type of HoiPoi machine you will use is the portable HoiPoi Machine, this will fit in your pocket via a Dinocap and you will be able to use it whenever and wherever you are on your travels. 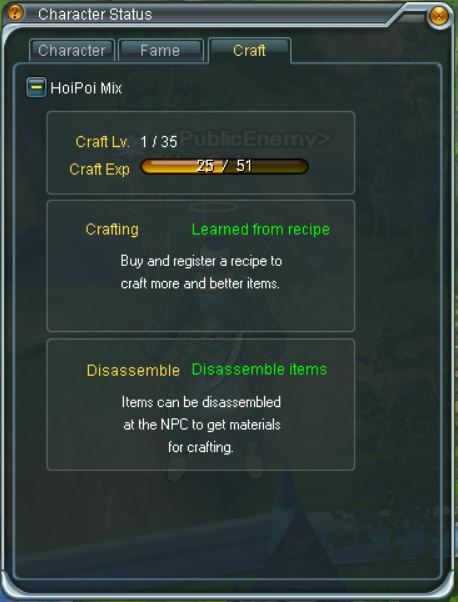 Once you are finished using the portable HoiPoi Machine please remember to close the Crafting window. Before you go wild and think you can craft anything and everything. The CMA have set up a system to prevent explosions and personal injuries to crafters and their peers. Currently when you start crafting you will be "craft level 1" with this you can create the most basic of weapons and armour. With each successful craft, you will gain Craft EXP and eventually level up! Every 5 Craft levels you gain will unlock the ability to create higher level gear for you and your friends! Now that you understand how the Craft level system works, you must learn about Crafting Recipes. There are many recipes to be found all across the world! Players can buy basic recipes from the "Crafting Masters" and can even obtain secret and rare recipes from event NPC characters! Be careful not to buy a recipe above your current level. You will not be able to use it until your craft level is equal to or higher to that of the recipe. There are many Crafting Masters around the main villages and cities. They will show you how to use common materials to create armour and weapons. Doing so will increase and upgrade your Crafting Level. You can learn each recipe only once. If you buy the same recipe by mistake you will need to discard or sell it back to the merchant so please be careful. Once you learn a recipe it will be registered to your crafting list forever, even when you log out and back in the recipe will remain. When crafting there will be a chance to get the standard version of what you are creating (usually "Excellent" rarity) or the slightly better version (usually "Rare" rarity) with higher base stats. No matter the result, your crafting level will increase by the same amount.